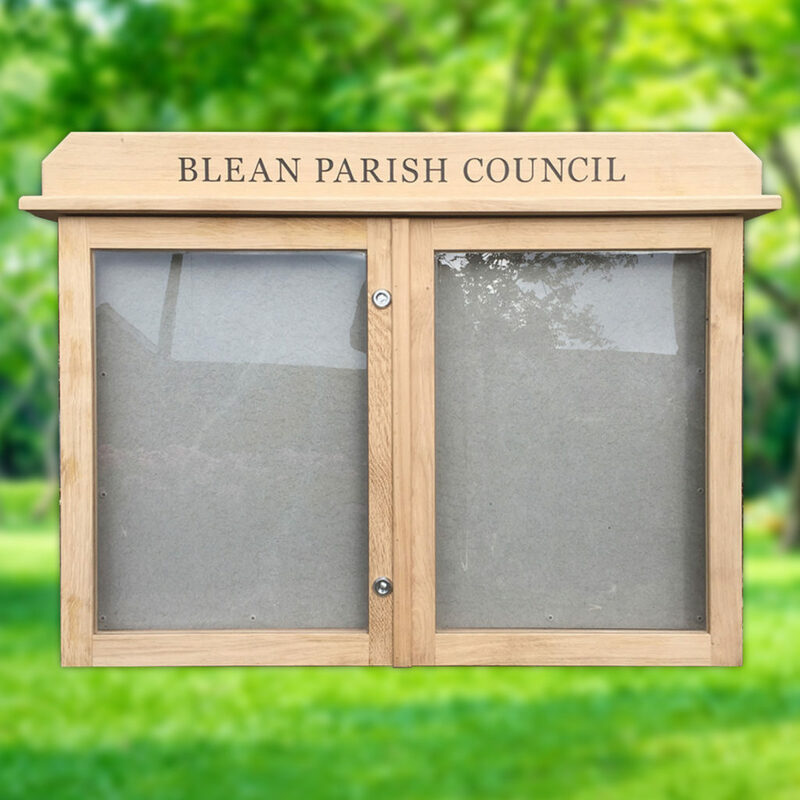 As a safety feature, the doors are made with shatterproof 4mm UV polycarbonate and the inside is designed for use with pins or staples. The prices include key locks or thumb locks for use by community (no key required). 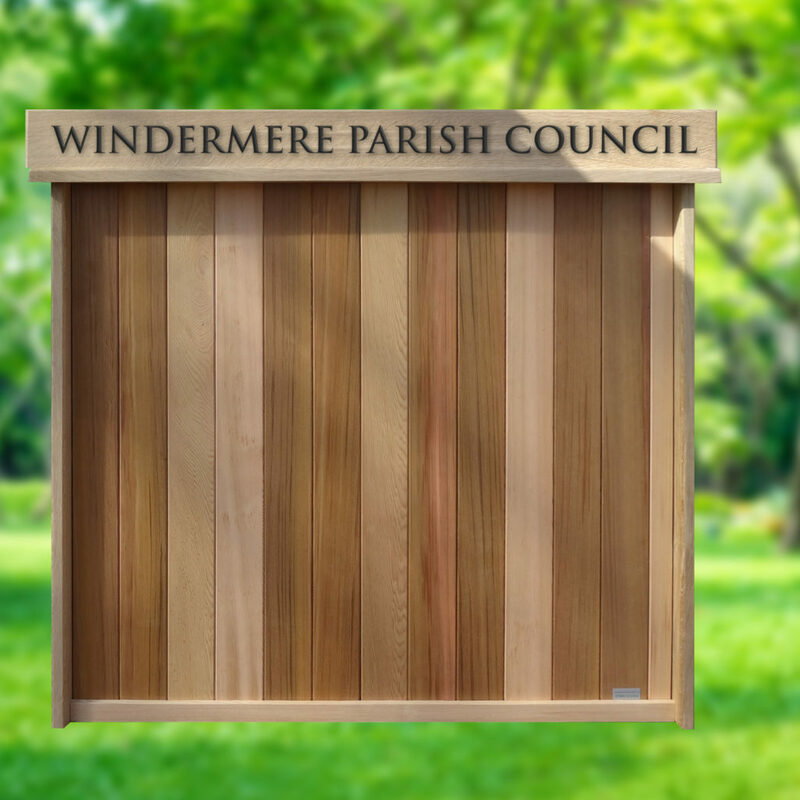 The post mounted wood noticeboards are planed green oak, 95mm x 95mm x 2.4m. As everything is hand made to order we can create products in just about any shape or size. Display area: 6 x A4 notices (2 rows of 3). Display area: 8 x A4 notices. Approx overall size w 1160 x h 740mm (850mm with header). 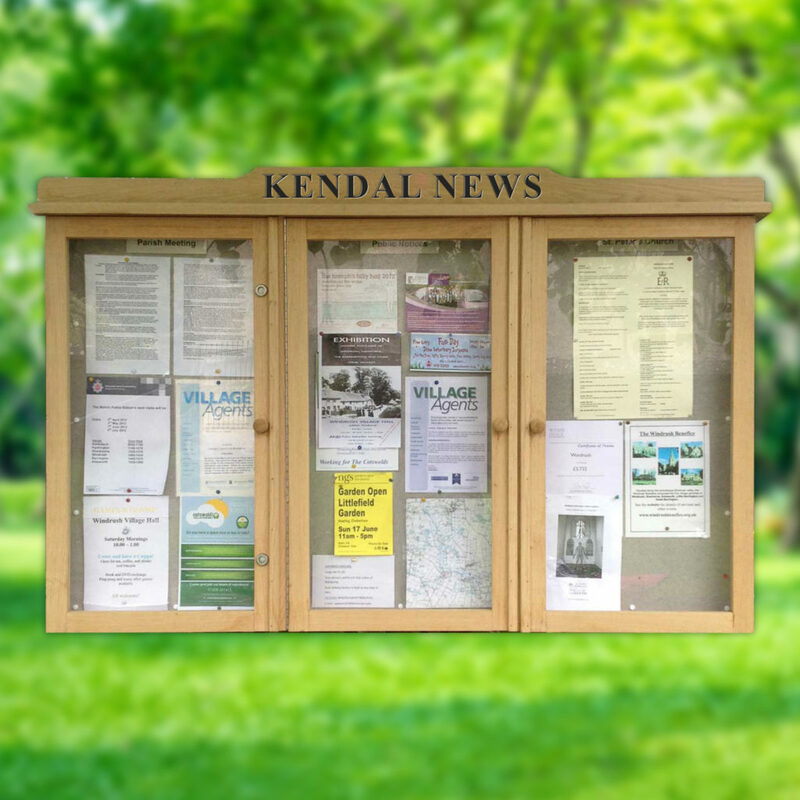 Display area: 12 x A4 notices. Approx overall size w 1630mm long x h 740mm (850mm with header). Display area: 18 x A4 notices. 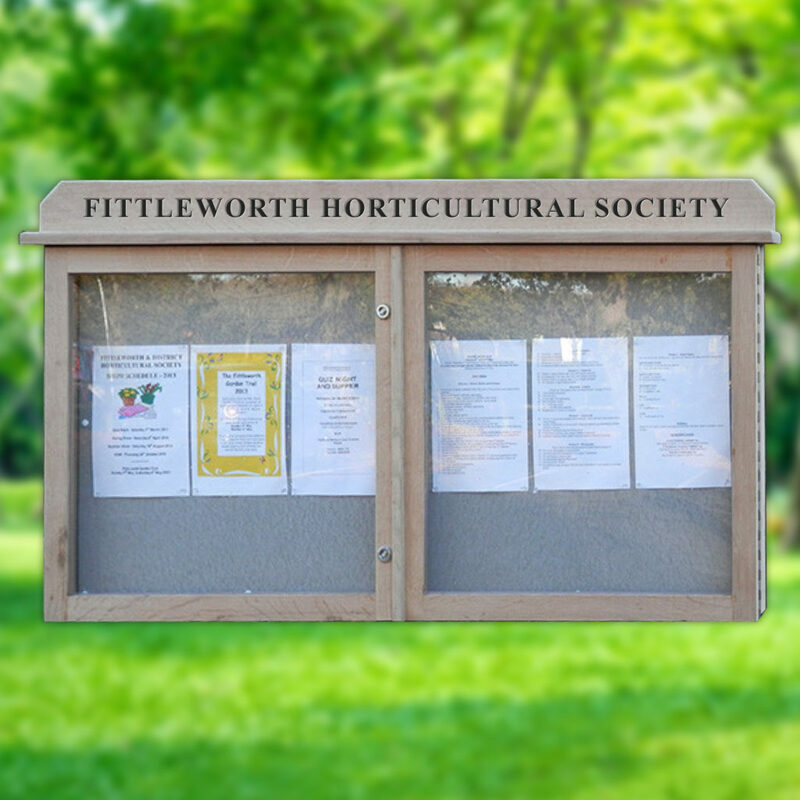 Display area: Approx overall size w 1000mm x h 800mm. 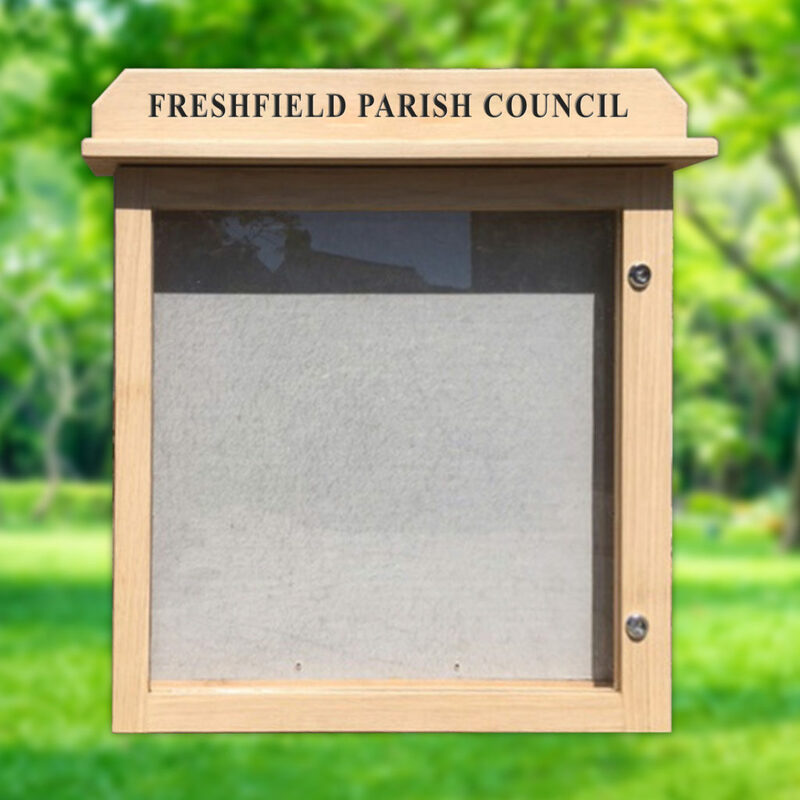 At long last, we are proud to announce the launch of our wood noticeboards, ideal for your Church or Parish Council.